Five kinds of cheese, tender-chewy pasta, and a simple tomato sauce makes this five cheese Stuffed Lumaconi elegant enough for company and tasty enough to make you crave it for every meal. Just after getting my driver’s license as a teen so, so many years ago, I crafted a few goals for myself– never get in a car accident that was my fault and try every new item (gum, mint, candy bar, etc.) I saw in the grocery check-out line. Don’t ask me why I thought this was an important thing to do. Maybe I felt the need for ultra minty fresh breath for all the boys I wasn’t kissing? Who knows, teenage brains are weird. But I do know that from a young age I’ve always loved trying new products I see at the store. 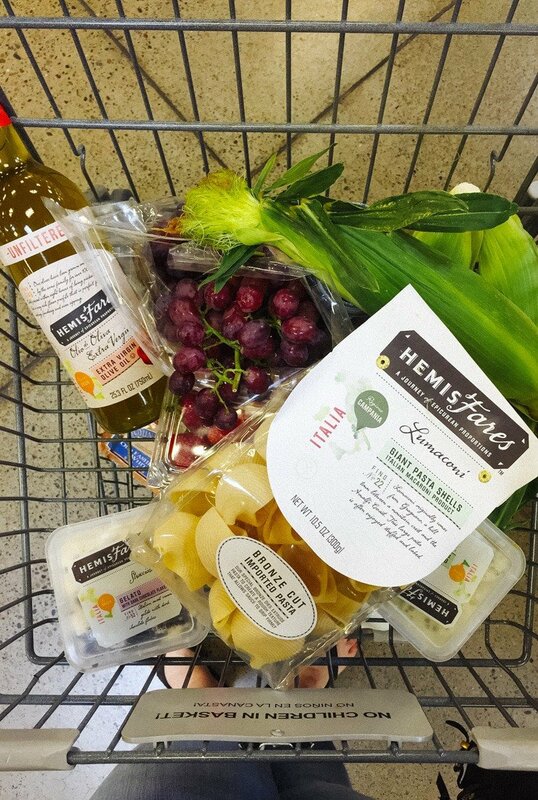 S0, when I learned about HemisFares– a high-end imported food line owned by Kroger– I knew I needed to try it! I set off to my local Fred Meyer to find a few things to make for dinner one night, and this Five Cheese Stuffed Lumaconi was what I came up with after finding the gorgeous HemisFares Lumaconi shells. It was a hard choice to make because I loved seeing all the pasta shapes that I usually don’t see in regular grocery stores like Bucatini and Orecchiette. Each HemisFares product has a “Find Number” listed on the packaging and its kind of fun to keep track of how many HemisFares products there are around the store. The Lumaconi is #22. 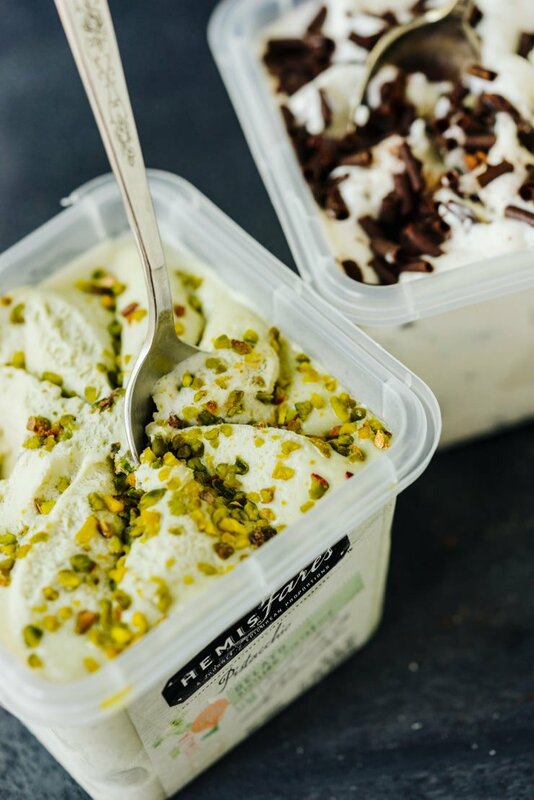 To my cart, I also added a super pretty bottle of HemisFares 100% Sicilian Extra Virgin Olive Oil (Find #48) and a pint of their Pistachio Gelato (Find #56) and Stracciatella Gelato (Find #52) because, well, gelato. Once home, I tore open the bag of lumaconi pasta and got some water boiling! I loved that the giant pasta shells had rough edges on them from the bronze mold they use, so the sauce clings to each bite. They totally reminded of my the type of pasta I’ve gotten at fancy Italian restaurants. 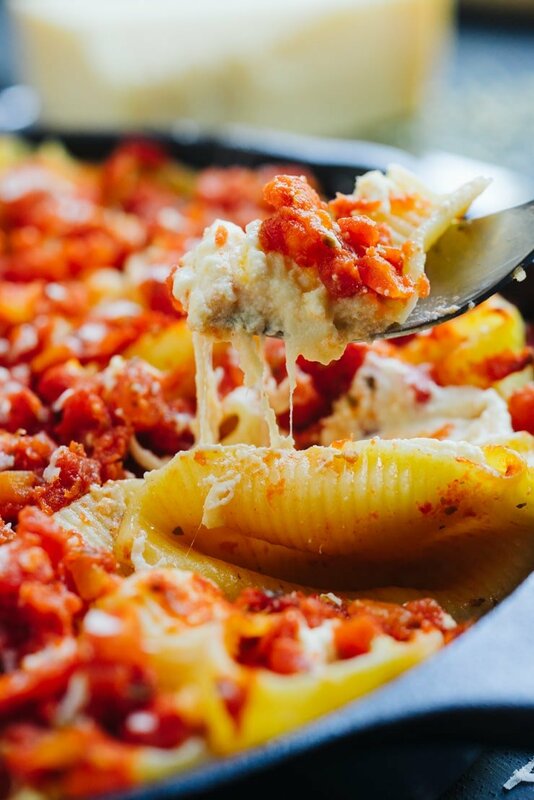 Once cooked, I filled each lumaconi shell with a combination of 5 kinds of cheese– mozzarella, ricotta, parmesan, cheddar, and a little bit of cream cheese. I don’t claim one bit that this is an authentic Italian recipe, but it sure tastes good! The cheeses all melt together and turn into the creamiest, cheesiest pasta you’ll ever make. I started the simple sauce off with a few cloves of garlic and a generous glug of the olive oil. Just before adding the tomatoes to the pan I couldn’t help but take a piece of bread to dip in the garlicky oil and this Olive Oil is so, so good. It has so much flavor even without the added garlic! I can’t wait to drizzle it over my salads and dunk my bread in it with a drizzle of balsamic vinegar. After topping the shells with the sauce, they went into the oven, and I decided that dessert needed to happen. The cheese stuffed lumaconi pasta baked for about 4o minutes, and I topped it will some freshly grated parmesan cheese before serving. Look at that cheese-pull! I’m in love. 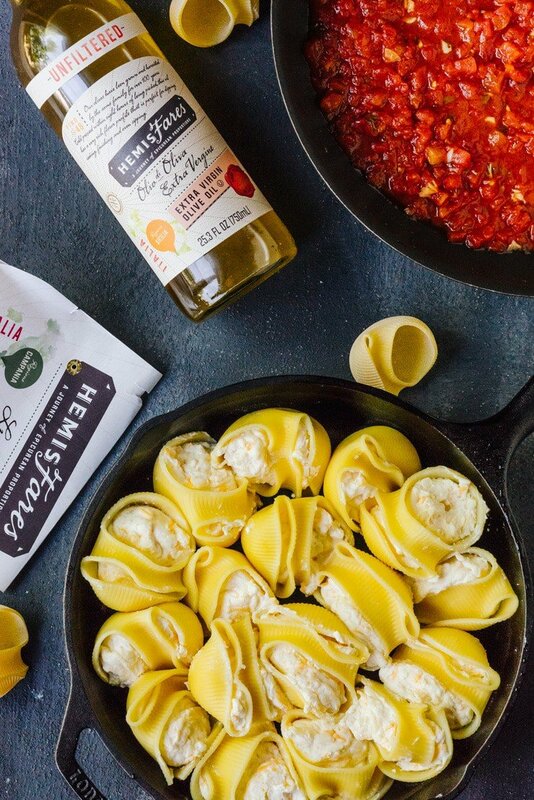 I do hope you’ll try this Five Cheese Stuffed Lumaconi recipe and definitely take a look at the HemisFares line at your local Kroger family store! 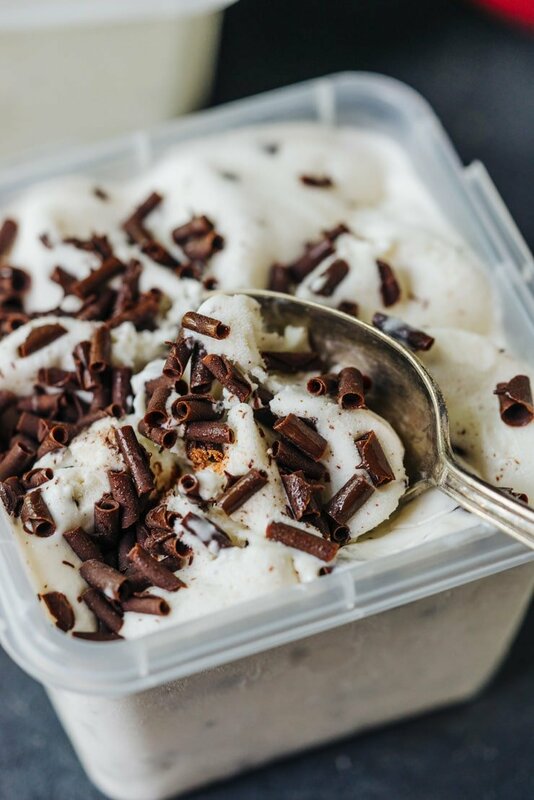 The pasta, gelato and other products are perfect for a fun and fancy night in! For more information on HemisFares, you can check out the website HemisFaresFinds.com or facebook.com/Hemisfares. Five kinds of cheese, tender-chewy pasta, and a simple tomato sauce makes this five cheese StuffedLumaconi elegant enough for company and tasty enough to make you crave it for every meal. Cook lumaconi according to the package directions for “al dente” or just slightly under cooked. Drain pasta and lay on paper towels to slightly dry. For the cheese mixture, combine cheeses, egg and 1/2 teaspoon salt until well mixed and spoon into a large Ziploc bag. Squeeze mixture into one corner of the bag and snip off the end. Set aside. 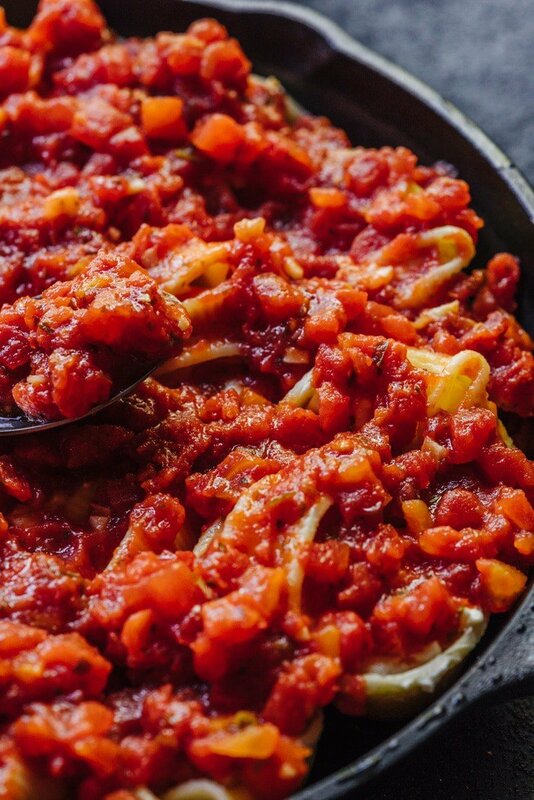 In a large skillet, heat olive oil until it shimmers and stir in garlic. Cook until fragrant, about 30 seconds, and stir in tomatoes, salt, and sugar. Bring to a simmer and cook for 15 minutes on low. Stir in basil. Spoon about a cup of sauce over the bottom of a large baking dish. Working one at a time, squeeze a steady stream of cheese into each pasta shell. 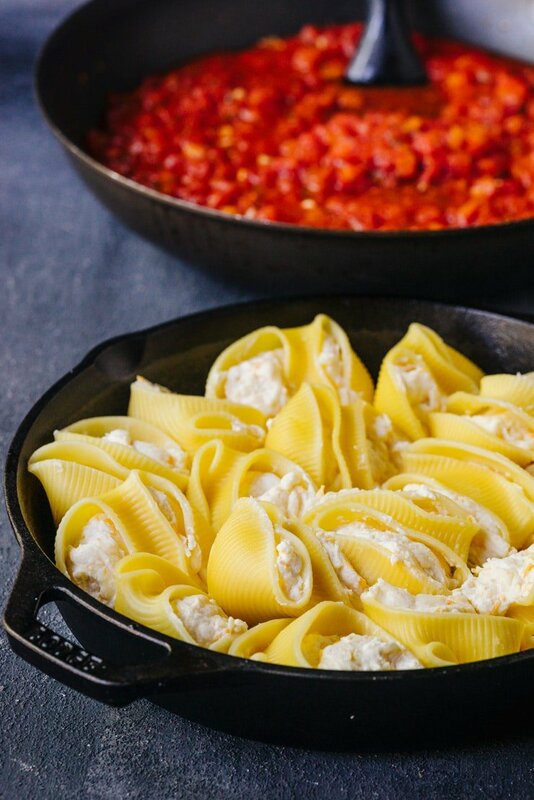 Place each filled shell into the baking dish and spoon remaining tomato sauce over the filled pasta once all the cheese mixture is used. Cover pan with foil and bake for 35-40 minutes or until bubbly, removing foil for last 10 minutes of cooking. Serve hot with additional parmesan cheese grated over the top. 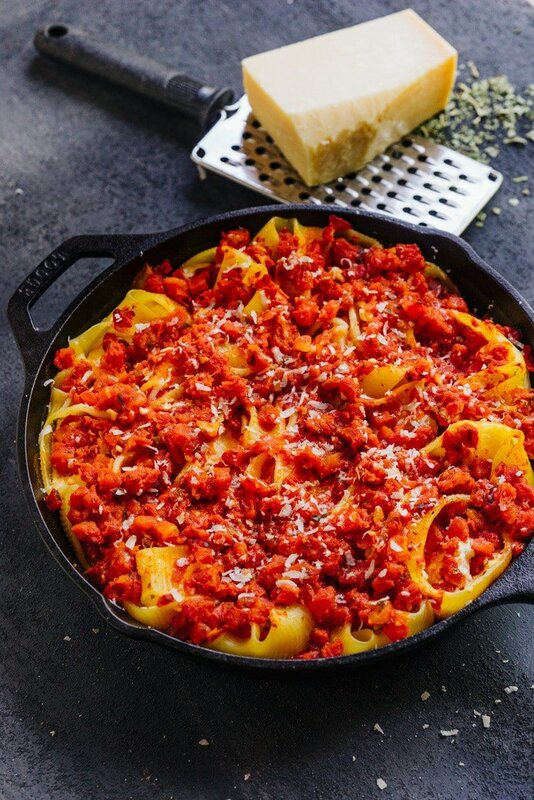 This cheese filling can be used in any type of large pasta shell. 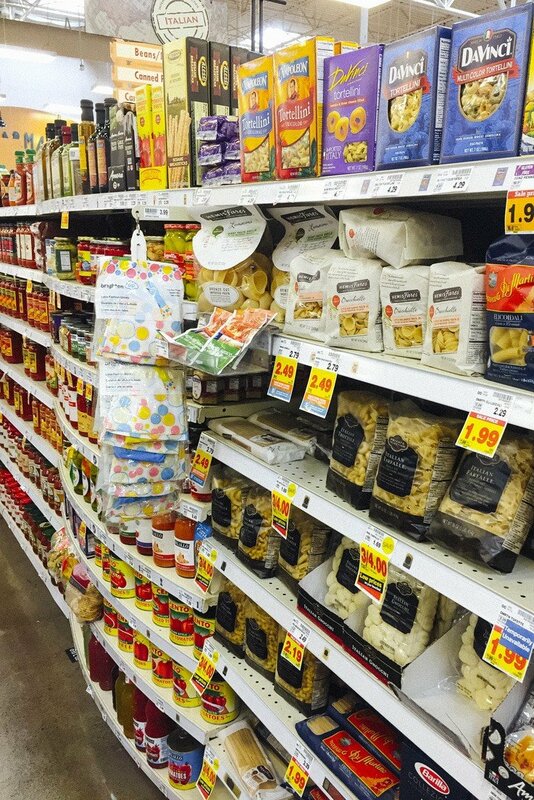 Look for Lumaconi, Manicotti, or Large Shells-- all can be used!